The family of Milton Everett Olin Jr., former Napster CEO, is filing a wrongful death lawsuit against LA county after the entertainment attorney was struck and killed in Calabasas while cycling last December. According to reports, Olin was bicycling with the traffic on Mulholland Hwy when a sheriff’s county patrol car hit him. KCAL TV reported that Olin was in the bike lane when he was struck, and the impact caused him to land on the windshield of the patrol car. Sheriff deputy Andrew Wood was behind the wheel of the patrol car that hit Olin, and sustained minor injuries during the accident. At the heart of negligence allegations are that Wood—a 16-year LA deputy veteran—may have been distracted at the time of the accident. 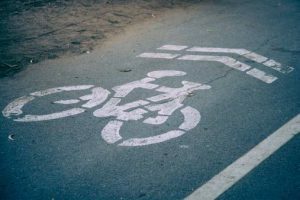 According to the family’s LA bicycle accident lawsuit, the deputy sent six separate text messages around the time of the incident, and eyewitnesses say Wood’s vehicle showed no signs of braking until after the victim was airborne. Legal counsel for Los Angeles County declined to comment on the pending litigation, which the Olin family attorney announced this week. Olin was survived by his spouse and two adult sons, and was an avid cyclist encouraged by the creation of bike lanes in the Calabasas area. Sadly, he may have been yet another victim of the many texting and driving accidents that plague the greater Los Angeles area. Olin’s family claim they have yet to secure an official copy of the accident report, though it occurred nearly eight months ago. In Olin’s memory a “ghost bike” has been painted near the scene of the collision on Mulholland Hwy. Under California law, direct relatives (husband or wife, a domestic partner or minors) may seek legal compensation for the wrongful death of a loved one, including monetary damages that account for all lost income and future wage earnings, plus loss of emotional support and marital companionship. We at Ellis Injury Law are seasoned litigators, and have won and negotiated lawsuits arising from bicycle and motor vehicle accident deaths, premises liability and other fatalities caused by the negligence of another party. If you are in need of expert legal advice, call our offices today to speak with a Los Angeles wrongful death lawyer at no charge. Serving Southern California for more than 20 years, our car accident attorneys are committed to fighting for the compensation you need and deserve. Call 310-641-3335 or 888-843-4597.